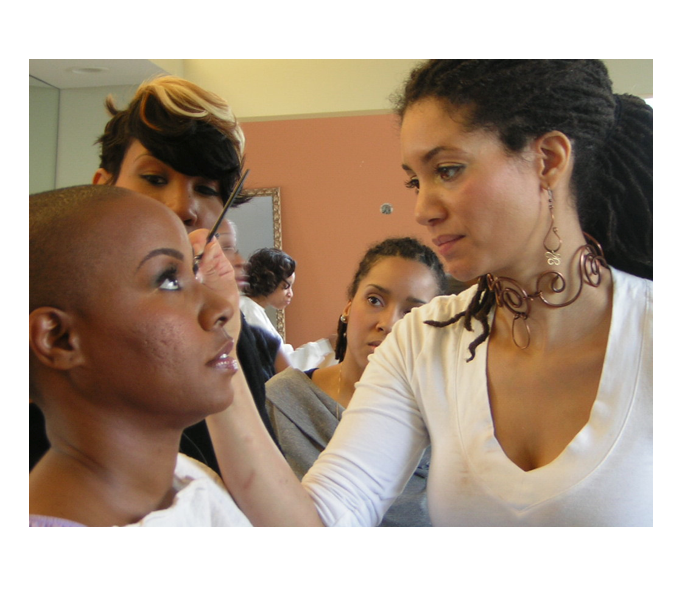 PREVIOUS EXPERIENCE IN APPLYING MAKEUP IS VERY HELPFUL BUT NOT REQUIRED TO PARTICIPATE IN THIS SESSION. 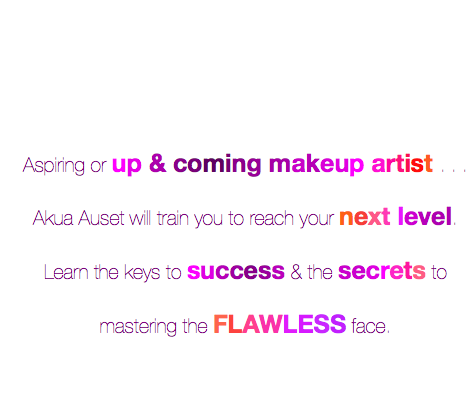 Noted celebrity makeup artist and author, Akua Auset (Ah-koo-wa Ah-set), has groomed and transformed faces for hundreds of TV, film, music video and magazine projects. Part artist, part healer, Akua has been a fairy-god-sister to luminaries for almost twenty years. Akua, often a celebrity special request, has worked on projects coast-to-coast with a 100 + celebrities & personalities including: Michael Jordan, Jill Scott, India.Arie, Vivica A. Fox, Brad Pitt, Laila Ali, Blair Underwood, Natalie Cole, Pam Grier, Cheryl Tiegs, R. Kelly, Usher, Snoop Dogg, Ludacris, Kid Rock, 50 Cent and Mos Def. 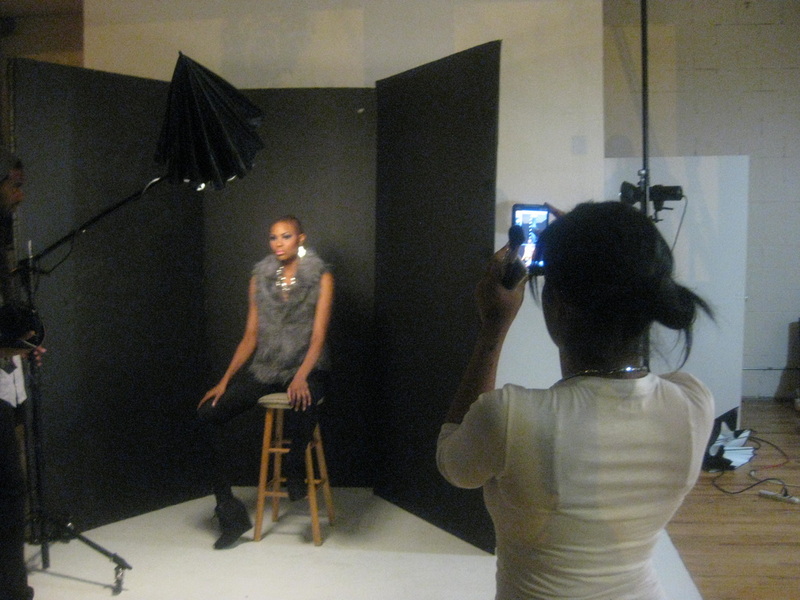 Her credits include work with 70+ corporations & companies, 50+ film, video & TV directors, 12+ magazines, photographers, TV shows, music videos and three major motion pictures, specializing in a term she has coined "the healing beauty arts." 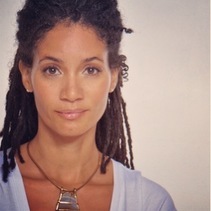 Akua will debut her first collection of holistic cosmetics Fall of 2015.
to a model that you bring in. You will have 45 minutes start to finish. give feedback from her very detailed notes. This is the training I wish I would have had when I was just starting out. Confidence is everything when you're standing in front of a new client with a clean face. From this moment on, you don't have to figure it out. Your session cannot be confirmed until payment is received or payment arrangements are made. Advanced registration is strongly recommended to accommodate you. You may call (312) 566-7506 or email us with questions. If METAMOORPHOSE cancels or changes the scheduled time of a session, thus preventing a student from attending, METAMOORPHOSE will issue a full refund to the student. Session refund payments will be processed and mailed to the student within three weeks from the date of cancellation or change. If a student withdraws from the session/program there is no tuition refund. Cancellations or NO-SHOWS are non-refundable and the full session fee will be charged. METAMOORPHOSE occasionally films and takes photographs of students, master artists, and/or their artwork for use in print, and electronic publication, and for archival purposes. If you have any questions about this practice or the use of your photographs, please contact the Registration Manager. "It's ordinary to give into resistance, obstacles, discomfort, inconvenience. ...taking a risk when you don't know. But sometimes if you go beyond to the other side of the unknown you will find magic and possibility."